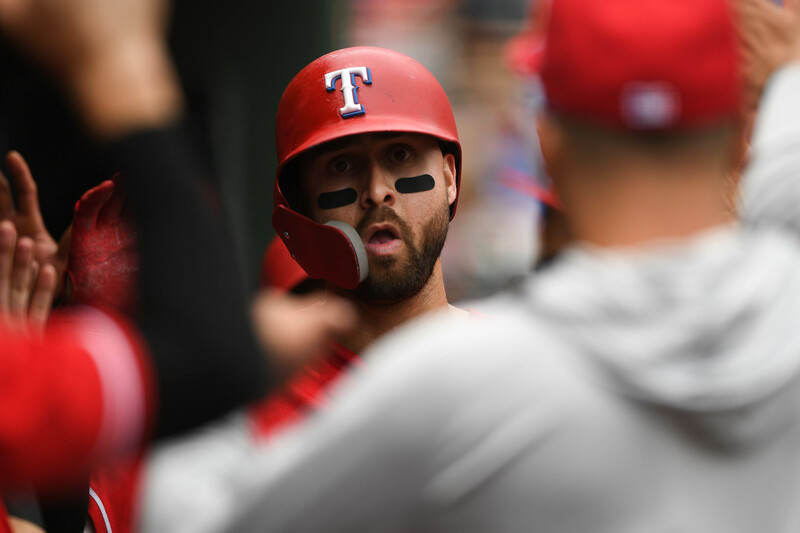 ARLINGTON, Texas (AP) — Joey Gallo homered twice and drove in four runs, Yovani Gallardo won his fourth straight start and the Texas Rangers held off the Seattle Mariners 11-7 on Wednesday. Gallo also has been hot, with 10 of his 31 homers in his past 19 games. He went 3 for 5 to raise his batting average above .200 for the first time since June 16. Gonzales has lost two games in a row after a career-best five-game winning streak. Seattle used five singles to score four runs in the seventh to pull within 7-6, but the Rangers answered with four runs to pull away. Cincinnati released Gallardo in April, and he spent more than two months in Triple-A before Texas purchased his contract from Round Rock. The Rangers have supported Gallardo’s starts with 10.48 runs per inning. Their season-high 19 hits included 11 extra-base hits. Those were the most Texas extra-base hits and doubles (eight) in a game since 2011. Seattle led only in the first inning. With one out, Jean Segura walked, went to second base on Gallardo’s wild pitch and scored on Mitch Haniger‘s single to center field. The Rangers came back for a 2-1 lead in the bottom of the first. Rougned Odor bunted for a single, and Elvis Andrus doubled to send Odor to third base. Odor scored when Mariners third baseman Kyle Seager couldn’t backhand a grounder by Adrian Beltre, and Gallo singled to score Andrus. In the third, Gallo hit a two-run homer into the right-center field bullpen, and Isiah Kiner-Falefa hit a double and scored on a single by Ronald Guzman. Zunino hit a solo homer in the fifth for Seattle, but Gallo matched it with a leadoff homer in the bottom of the inning with a fly ball just inside the right-field foul pole. Kiner-Falefa again doubled and scored after another single by Guzman and a double-play grounder. Mariners: 1B Ryon Healy (heat-related illness) and RHP Sam Tuivailala (strained right Achilles tendon) left the game. … Manager Scott Servais said RHP Erasmo Ramirez (strained shoulder muscle) is scheduled for a fifth injury rehab start, with Triple-A Tacoma. Ramirez has been on the disabled list since May 1. … RHPs Dan Altavilla (sprained elbow) and LHP Roenis Elias (strained triceps) will go on rehab assignments “real soon,” Servais said. Rangers: RF Nomar Mazara (sprained right thumb) will begin his rehab assignment with Triple-A Round Rock on Thursday. Mariners: Head to Houston on Thursday night, with LHP James Paxton (9-5, 3.51 ERA) opposing Astros RHP Justin Verlander (11-6, 2.19). Rangers: Travel to New York with rookie RHP Ariel Jurado (2-1, 4.02) against Yankees LHP J.A. Happ (11-6, 4.05).